The Last Jedi continues down its path to becoming the most explained Star Wars movie ever made, as director and writer Rian Johnson offers some interesting insight into one of the film's most intriguing moments. "The origin of that was honesty just very, very, very early before I started even coming up with story," he told a crowd during a recent Q&A, as reported by ComicBook.com. "It was a visual image I had in my head just when I was thinking about Rey and thinking about what was important to her and her search really for identity and for place." 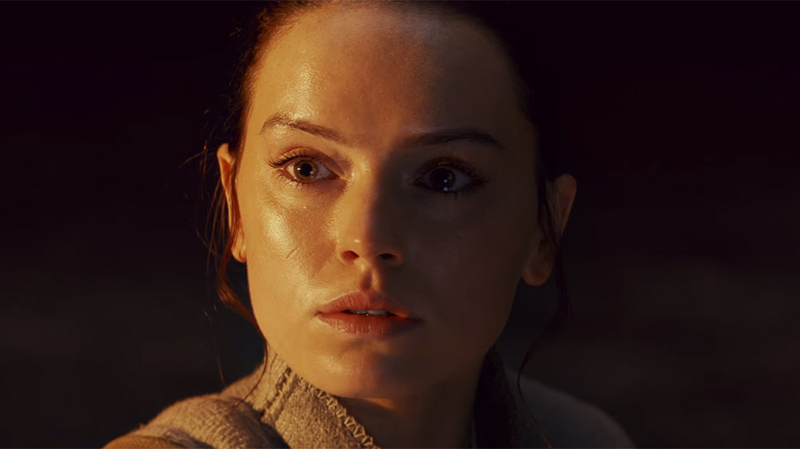 Johnson went on to offer his own interpretation of the scene, and how the image connects to Rey's ultimate growth. "So, it was just an image that came into my head of this infinite line of, you know, possibilities of self in this infinite line of possibilities of identity and the notion then of playing with which one is the quote-unquote real her," he said. "Which one is going to be her and where does it end, and it does end someplace. It ends at a place that shows her basically her kind of worst fear which is that it's just her." Of course, that isn't the end of the story: There's Leia, and the Resistance, and her future as a Jedi (or at least a powerful Force user of some variety). But what a terrifying image for someone looking for her parents, and her place in the galaxy. A whole hall of mirrors. No one to see but herself.